Judy Rosella Edwards is a central Illinois photojournalist with a graduate degree from Indiana University. She is the owner of EcoLitGy Communications, a new media company. 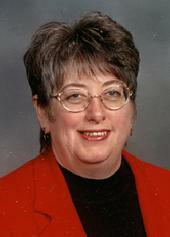 She has written for the Bloomington Pantagraph, the Pekin Times, and other newspapers. She is the editor of The Shelby County Independent Index - Mar. 23, 1876, through Oct. 6, 1876, Lake Shelbyville: A River DOES Run Through It, and Dora Etta Wade Diaries: 1931 to 1937. She volunteers as host to the Shelby County section of the Illinois Trails project at http://www.iltrails.org/shelby/. Her ancestors were among the first European settlers in Shelby County. Most recently, she founded the Jasper Douthit Project at http://www.ecolitgy.com/JLD/index.html. She and her husband, Jeff Imig, live in Mackinaw, Illinois, with their four cats. They are members of the Universalist Unitarian Church of Peoria, in Peoria, Illinois.